Want your voice to be heard, but don’t know how? The information below tells you everything you need to know about becoming an active Arkansas voter. Need to know where you vote? Use our online voter registration search to find your polling place! Vote at your poll on Election Day from 7:30 a.m. to 7:30 p.m. Your precinct is determined by where you live and the polling site is assigned by your county election commission. Most local newspapers publish a list of polling sites within a few days of an election. If you received a Voter ID card from your county clerk, it may show your precinct. You can also find your location online at www.voterview.org. 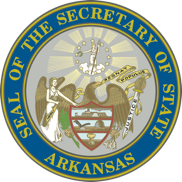 View more information on Absentee voting in Arkansas. Depending on the type of election being conducted, you may early vote during the 7 or 15 days prior to Election Day. In most counties, early voting is conducted at the county clerk’s office. In counties with off-site early voting (a location other than the county clerk’s office), local newspapers will publish the designated sites. During a preferential primary or a general election, early voting is available between the hours of 8 a.m. to 6 p.m., Monday through Friday, and 10 a.m. to 4 p.m. Saturday, ending at 5 p.m. on the Monday before the election. Off-site early voting hours may vary by county; watch your local newspaper or contact your county clerk for information. During all other elections, early voting is available during your county clerk’s regular office hours. If your name or address has changed, you may update your information at the early voting site. You will be unable to attend your polling site due to illness or physical disability. If you registered to vote but your name does not appear on the precinct voter registration list, or if you are unable to comply with identification requirements, you have the right to cast a Provisional Ballot after signing an affirmation that you are a registered voter in the county and are eligible to vote in that election. If your vote is challenged by a poll watcher,you have the right to cast a Provisional Ballot that will be set aside by the election officials in a special envelope until the election commission determines whether the ballot may be counted. If you cast a Provisional Ballot, you have the right to be informed in writing of whether or not your ballot was counted and, if not, the reason it was not counted. Casting a Provisional Ballot when a ballot is challenged by a poll watcher: If a poll watcher challenges a voter’s ballot, that ballot will be treated as a Provisional Ballot. A poll watcher may not speak with you, may not challenge your ballot in bad faith, may not be within six feet of the voting area, may not disrupt the election and may not electioneer within 100 feet of the main entrance of the polling site. An election official will inform the voter, who will then sign a statement affirming voting eligibility. The election official will write the voter’s name and address on the list of provisional voters. The poll watcher will complete a Challenged Ballot form. The election official will give the voter the proper ballot after removing the stub and placing it in the ballot stub box. The voter will mark the ballot, then place it in the Provisional Ballot Envelope and seal it. The voter then will place the sealed Provisional Ballot envelope and the challenged ballot form (unless it is printed on the outside of the Provisional Voter envelope) in the Provisional Voter envelope. If a voter’s name is not included on the precinct voter registration list and if the election official at the poll cannot verify the voter’s status as a registered voter in the county, that voter is entitled to cast a Provisional Ballot if he or she contends to be a registered voter in the precinct in which he or she desires to vote. The election official will ask the voter for a current, valid photo ID or a copy of a current utility bill, bank statement, government check, paycheck or other government document that shows the name and address of the voter. If the voter fails to provide ID, the election official will note it on the precinct voter list. The election official will provide a Voter Affirmation form on which the voter affirms that he or she is registered in the precinct and is eligible to vote in the election. When the affirmation is completed, the election official will provide the proper ballot to the voter. The voter may then mark the ballot. The voter should place the marked ballot into the Provisional Ballot envelope and seal it. The voter should then place the Voter Affirmation in the Provisional Voter envelope (unless the affirmation is printed on the envelope itself). If you move to a new address within your current precinct, you have the right to vote in that precinct after filling out a change-of-address form. If you move to a new address in your county but outside the precinct where you’re registered, you have the right to vote at your new precinct and fill out a change-of-address form there. An election official will ask you to state your name, address and date of birth. The election official will request for you to provide an approved form of I.D. If you registered by mail after January 1, 2003, and did not submit the required I.D. with your voter registration application, you may be required to show I.D. to vote a regular ballot. Types of additional I.D., which must show the name and address of the voter, include a current and valid photo I.D.or a current utility bill, bank statement, government check, paycheck or other government document. In a primary election, you must state the party primary in which you wish to vote. If you don’t wish to cast a party ballot, you may choose to vote in the nonpartisan races only(which may include judicial and prosecuting attorney races, and other local issues such as tax increases). In a primary election, you’re allowed to vote only one party’s ballot or the nonpartisan ballot. The election official records which party’s ballot you choose. Next, you will sign the Precinct Voter Registration List, and the election official will add your name to the list of voters. You will go alone to a voting booth and mark your ballot. You are allowed 5 minutes to vote. If you vote a paper ballot, you will deposit it into the ballot box or an electronic scanner. An overvote is a ballot marked with more than one choice for the same question, such as two candidates in the same race. Overvotes cannot be counted, so it’s important to make sure you don’t make that mistake. If you vote on a paper ballot (absentee or optical scan ballots), check your choices very carefully to make sure they’re marked correctly. If you make a mistake, simply ask an election official for a new ballot before you drop yours in the ballot box. Electronic voting machines will automatically prevent overvotes, but it’s still important to double check your responses.